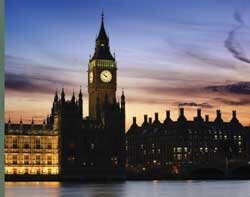 Government IT in the UK is far worse than comparable countries, MPs were told on Tuesday. Professor Helen Margetts, from the Oxford Internet Institute, told a Public Administration Select Committee on effectively using IT that the UK lags behind in a study examining the number and scale of public IT disasters. The research covered public sector IT in Japan, Canada, the US, Netherlands, Australia and New Zealand. The reasons are due to scale, timing and contract value, a small number of suppliers getting the bulk of contracts and a lack of IT expertise in government, she says. "The European markets [for government IT] are not so concentrated, nor is the US. One of the ways that's done is through fostering local domestic suppliers by drastically reducing the size of contracts, some of which cost billions of pounds and last for 10 years," she told the MPs. Part of the problem is a lack of in-house expertise, according to Edgar Whitley from the London School of Economics. "There's a lot of skilled individuals open to job opportunities in the public sector. But there's the risk that they could be frustrated at driving through change in public sector. Obtaining skills is not so much an issue as retaining skills," he said. Margetts added: "Just a small proportion is spent on maintaining contracts. So we should not blame the IT industry when public sector contracts go wrong. "If we want to innovate with outsourcing partners, we must have a different relationship and significant capabilities in-house. If we want collaboration, there needs to be flexibility on both sides." Government departments have also been slow to pick up on the possibilities of the internet and web-based technology to transform services, she told the committee. "Those newer technologies like social media should be at the heart of initiatives like the Big Society," she said. Joe Harley's appointment as government CIO across two job roles - that of government IT chief and CIO at the Department for Work and Pensions - could be a mistake, says Whitley. "He's providing high-level strategy, but you can't expect that person to have to make detailed decision-making in one department as well," he said.